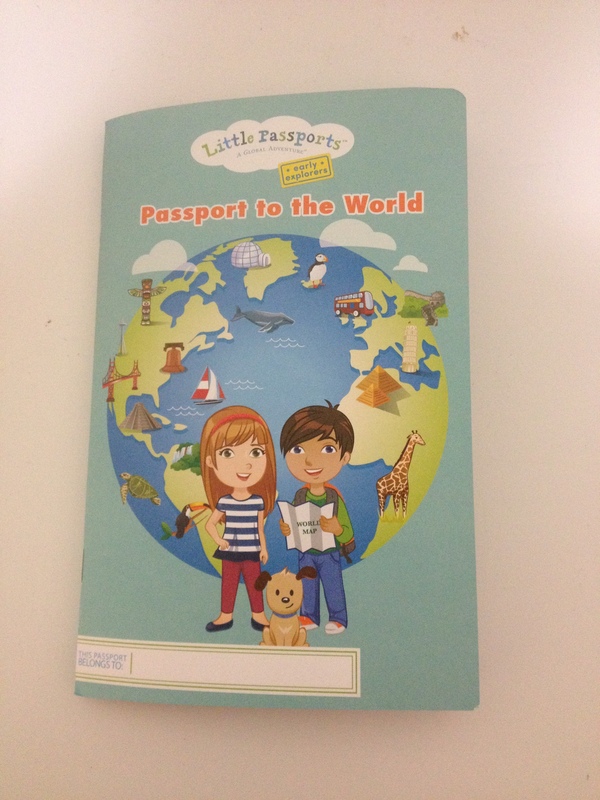 The first of our Little Passports Early Explorers kit which is recommended for 3-5 year olds arrived in the mail. 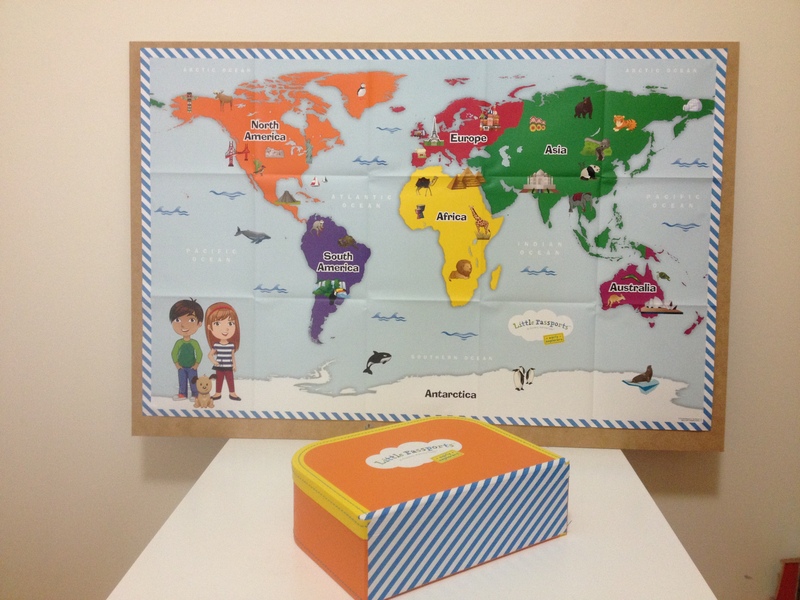 The first month is the traveller’s kit which contains a suitcase, world map, activity booklet and stickers, then each month a different country theme is explored. My eldest was really excited to see what was in the kit and to do the activities and look at the map and compare it to our globe. 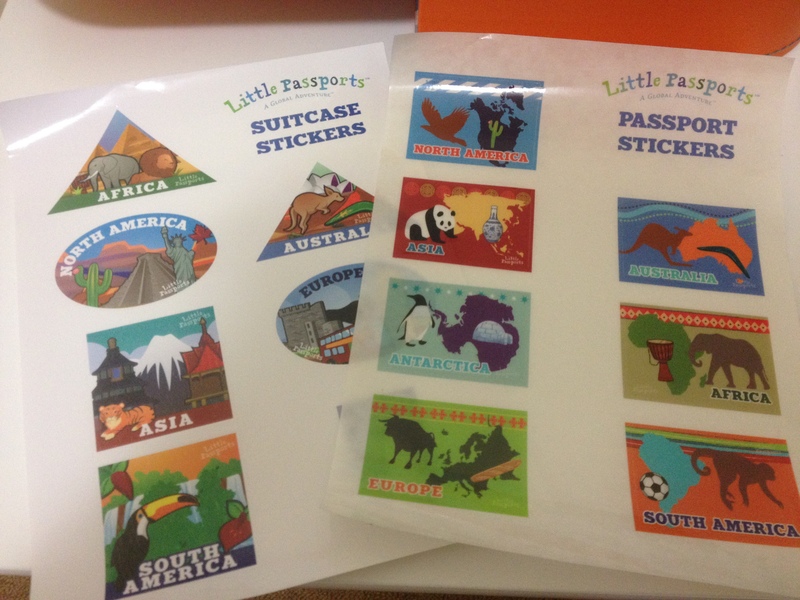 I wasn’t sure whether to purchase the early explorers kit or the world edition which is the next up. We will see how we go with this one as the months go on. She found the activities easy enough to do by herself which is great, so not too easy and not too challenging that she might lose interest. 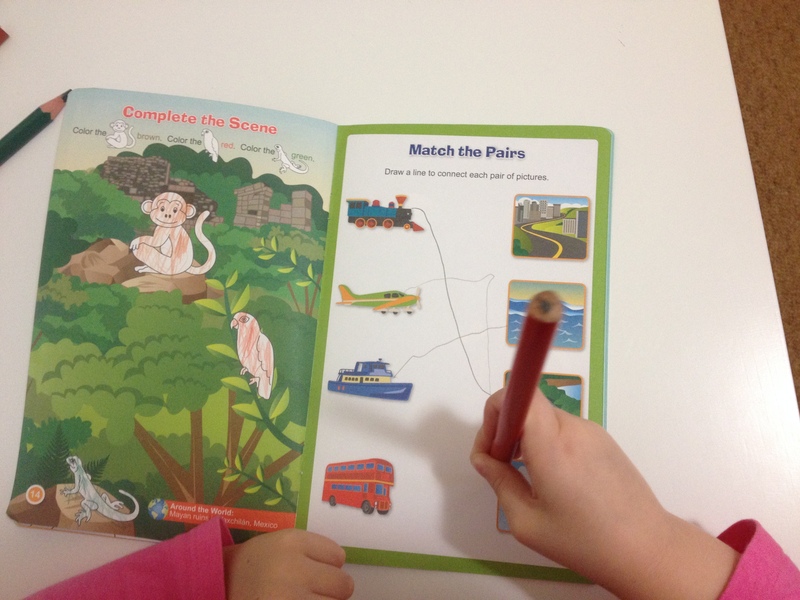 She loves the characters Max, Mia and their dog Toby and she found the idea of learning about their world adventures very exciting. 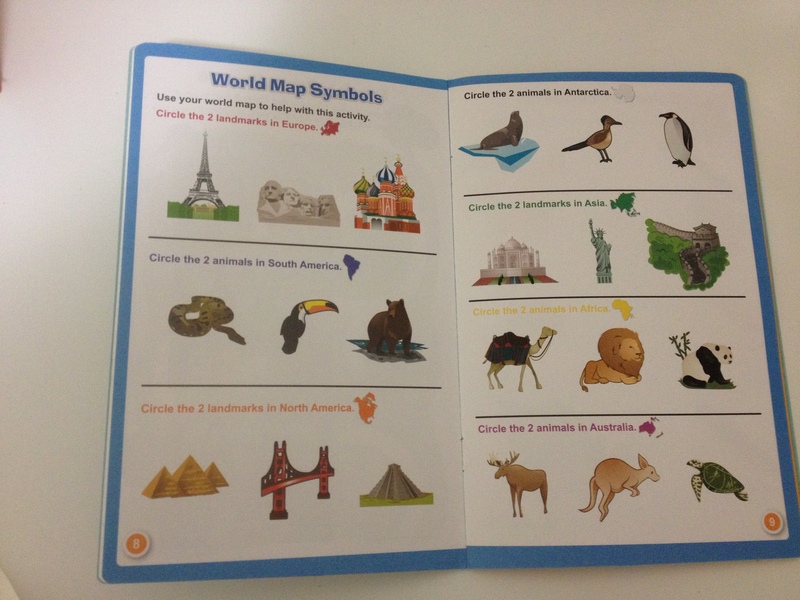 The map that came in the kit is simple which is good for someone who is just starting to learn about the continents of the world. I will aim to post what theme we receive each month, what it contains and what we do with it. I had a look online and there seems to be lost of ideas and extension activities you can do with the monthly themes as well.